Buttery soft roll cookies filled with naturally sweetened pumpkin butter. These pumpkin cookies are not overly sweet, contain no refined sugar and make great diabetic friendly cookies, snacks or desserts. 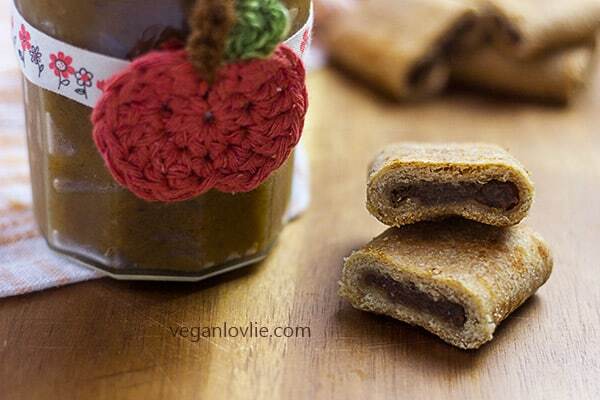 They are pretty much a homemade vegan version of fig rolls or Fig Newtons with spiced date pumpkin filling. 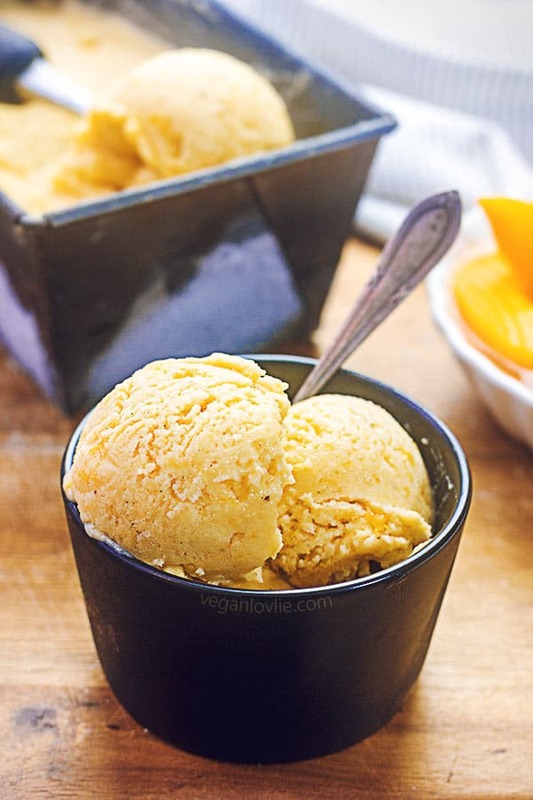 The good thing about pumpkin is that its natural sweetness contributes much to sweeten goodies without the need for refined sugar. A handful of dates and a ripe pear incorporated in my previously featured pumpkin butter recipe were all that were needed to round off the flavours and make this butter palatably mellifluous. Because it’s the season where it’s all about pumpkin, I am delivering some more treats (as promised, although a little bit later than anticipated). These pumpkin butter roll cookies are not overly sweet and, just like the butter, they are naturally sweetened with no refined sugar. I do have a similar recipe for these date pumpkin roll cookies. But we decided it was time to make a video for this scrumptious recipe. I’ve also brought a slight change to the biscuit recipe by using oil instead of vegan margarine (the latter may not be available everywhere) and a touch of maple syrup instead of sugar. If you do like your cookie sweeter add 1-2 teaspoons of sugar instead. On the other hand, you can omit the maple syrup altogether if you are trying to reduce any added sweetener. You may also make the butter filling a little sweeter with some additional dates. 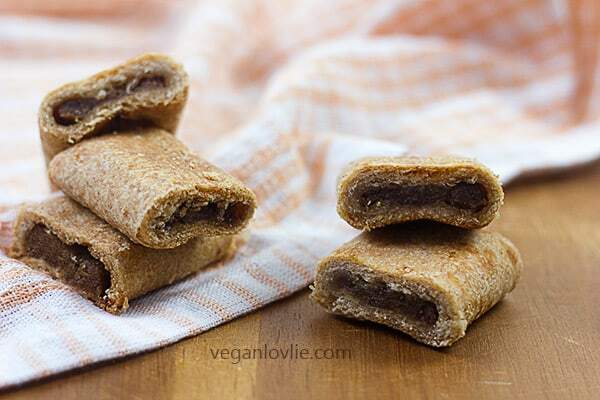 These roll cookies are diabetic friendly — eat in moderation though — and you don’t miss the refined sugar at all. If left too watery, it will make the biscuit soggy inside. When baked, it will reduce and will leave a space in between the biscuit and the filling. This makes a less appealing roll cookie rather than one that is well stuffed with a luscious sticky caramel like paste. I strongly recommend using a food scale for this cookie recipe and all types of pastry projects for that matter. If you are looking into investing in a digital food scale, the Better Brighter Ideas Ultra Slim Food Scale would be one of my recommendations. I also own a similar one in the the ThinkKitchen brand hanging to a hook on the wall — pretty neat way to avoid counter space clutter. If you are looking for the wall mount feature, the Triumph Multifunction Digital Food Scale seems a good one too (judging by the reviews). 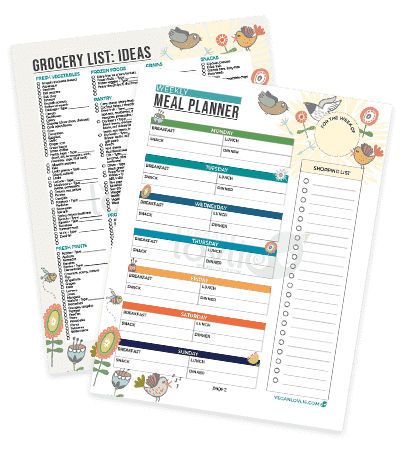 Similar to the ThinkKitchen and the Better Brighter Ideas one, it also has the tare feature and measure grams, ounces, fluid ounces and millilitres. By the way, if you find our website useful and you’d like to bring in your contribution, like buy us tea or a pumpkin, you can donate via our Paypal. Watch the video tutorial for these roll cookies. In the video I am making a double batch of the recipe below. In a mixing bowl, whisk the flours, baking powder and salt. 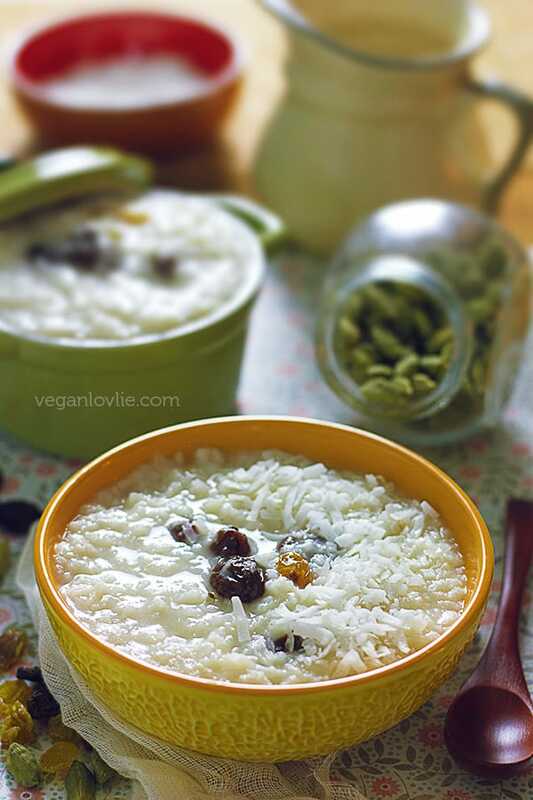 Make a well in the centre and add in the oil, coconut milk, vinegar and maple syrup (if using). Mix with the spoon until mixture starts to form a dough. Go in with your hand and press into a smooth dough. Try not to knead it too much. Once the dough is formed, do not over-handle it. Place in a closed container (or wrap in cling film) and refrigerate for 30 minutes or freeze for 10 minutes (if short of time). Place the dough on a lightly floured board (you may want to divide it in half to make it easier to work with). Roll it out to about 5mm or 1/4 inch thick. Trim the rolled out dough into rectangles of 9 x 12 cm (3.5 X 5 inches). Make the cut out bits into a ball of dough and keep aside to roll out again later. Now place the filling along the centre of the dough. Do not overfill. Fold both sides over the filling towards the centre then roll the closed log on itself so that the seam is facing down. Gently lift and transfer onto a baking sheet lined with parchment paper. Make some dents into the rolled dough at 4 cm (1.5 inch) intervals but do not cut all the way through. 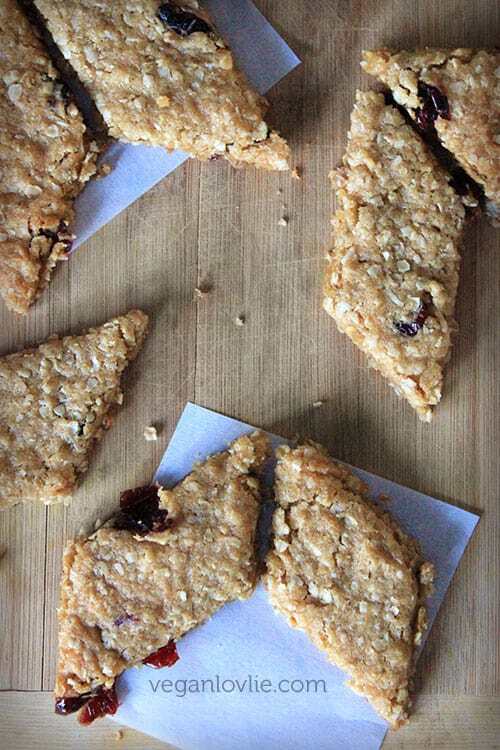 You will get a cleaner cut once the cookies are baked and still warm. Optionally, you can press a fork (or metal skewer) along the centre of each roll to create some indented patterns. Bake for 12 minutes. Then gently turn the cookies over and bake for another 8 – 12 minutes (depending on your oven). Remove from the oven and carefully cut the cookies through the indentations. They may still be a little spongy at this stage. But they will crisp up once cooled. Allow cookies to cool. Then keep in an airtight container and enjoy! They keep well for 3-4 days. If they go too soft, just pop them back in a preheated oven for 5 – 8 minutes and allow them to cool again, they will get their biscuity bite back. Buttery soft roll cookies filled with naturally sweetened pumpkin butter. These pumpkin cookies are not overly sweet, contain no refined sugar and make great diabetic friendly cookies, snacks or desserts. 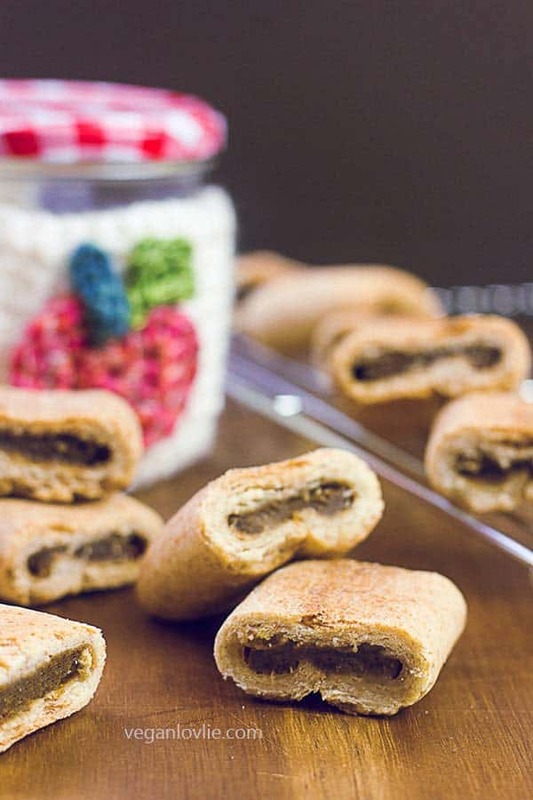 They are pretty much a homemade vegan version of fig rolls or Fig Newtons with spiced pumpkin filling. Bake for 12 minutes. Then gently turn the cookies over and bake for another 8 - 12 minutes (depending on your oven). *volume measurement for this recipe is not recommended. Use metric / weight for precision. Beautiful — I love the pumpkin-date filling!